Merv's Green Lantern Stuff (Page 2 0f 2). 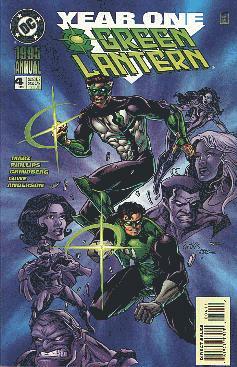 The new Green Lantern is freelance artist Kyle Rayner. Kyle was given the last power ring by the last Guardian of the Galaxy. 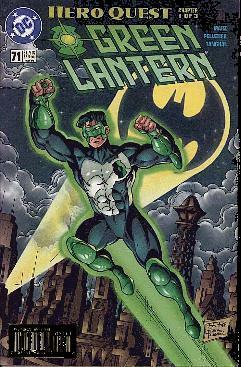 Kyle Rayner is the new Green Lantern of Earth, and the only Green Lantern left. Kyle has already established himself as a hero. 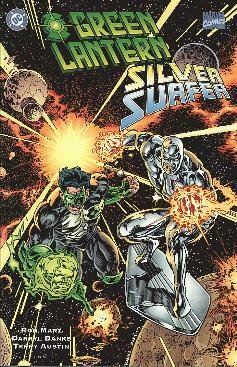 He has joined the new JLA, and has even teamed up with the Silver Surfer. 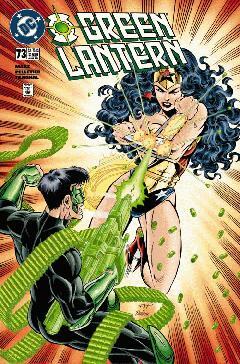 Kyle Rayner finaly teamed up with Hal Jordan this summer. 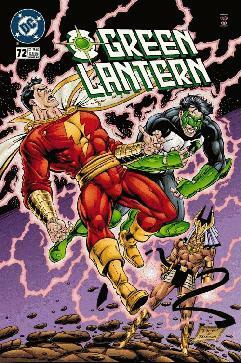 Being sent back to the 20th century from the 30th century, the Legion of Superheroes overshot Kyle's time travel. 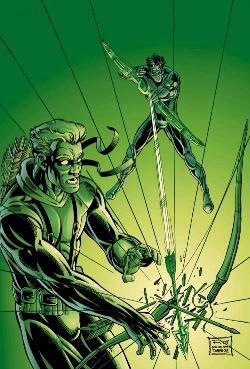 He went back 10 years before the death of Hal Jordan, and fought with him side by side to protect the Corps and Guardians from the evil Sinestro. 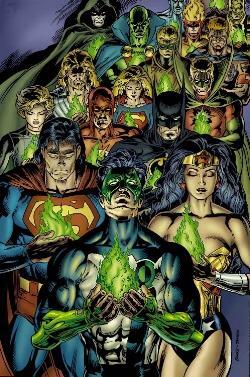 The Guardians of that time sent Kyle back home, but with Hal Jordan! Learning of Coast City's destruction, and of his becoming evil, Hal Jordan fought with Kyle, but eventually accepted what happened. 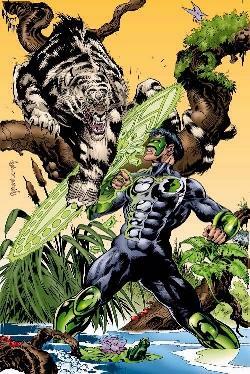 Will this Hal Jordan from the past stay in are current timeline? Only the summer's Emerald Knights storyline will tell!